NBC followed Angela Lachica as she went through the egg freezing process with Dr. Michael Kettel of the San Diego Fertility Center. NBC recently spotlighted one of San Diego Fertility Center’s patients, Angela Lachica, as she went through the egg freezing process with fertility expert Dr. Michael Kettel. Dr. Kettel had previously appeared on NBC to discuss the increasing accessibility of egg freezing after news broke that companies like Facebook and Apple are now covering costs for the procedure. Angela, age 34, allowed cameras to follow her through the entire process as she went through her initial consultation, blood work, ultrasounds, hormone injections, and surgery to harvest her eggs. She says that she would one day love to start a family, but isn’t ready just yet. “Essentially it’s taking the keys away from Mother Nature and saying I’m driving this bus, and I’ll be in control of how this happens,” says Angela. Egg freezing is a fairly simple process that is accessible to women of all childbearing ages, although younger women generally have higher success rates due to the age of their ovaries at the time of freezing. Once frozen, however, the eggs will last indefinitely. And it’s a scenario that Dr. Kettel sees weekly at his practice. Dr. Kettel says that fertility begins to significantly decline at age 35, declines again at age 37, and then declines sharply at age 40. Due to this, healthy, fertile women like Angela are looking for clinics like the San Diego Fertility Center to help them with family planning before it is no longer an option. While egg freezing has existed for decades and Dr. Kettel has been freezing eggs since 1989, up until a few years ago the technology wasn’t yet ideal. However, thanks to a rapid freezing process called vitrification, today’s success rates are much higher, and the process is no longer considered experimental. “The survival rate of eggs using slow freeze is in the, say, 10 to 30 percent range. Whereas the survival rate using the rapid freeze technology is in the 90 percent range,” says Dr. Kettel. For Angela and for many of the clinic’s egg freezing patients, the entire process is worth it in the end. 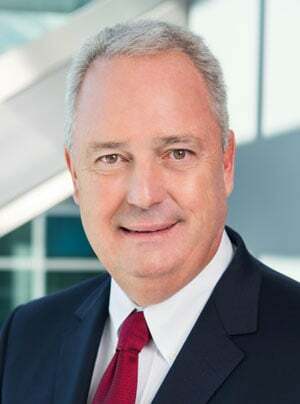 Dr. Kettel is a leader in the fields of Reproductive Endocrinology and Obstetrics & Gynecology, and is part of an elite group of physicians who is certified as a High Complexity Laboratory Director and also has additional expertise in Human Embryology and Andrology. Dr. Kettel has been identified by his peers as a top infertility doctor and specialist, and he is one of the “Best Doctors in America” (1996-2014) , as well as one of the “Best Doctors in San Diego” according to the San Diego County Medical Society since 2001. Located in Southern California, San Diego Fertility Center (SDFC) is an internationally recognized fertility treatment center. 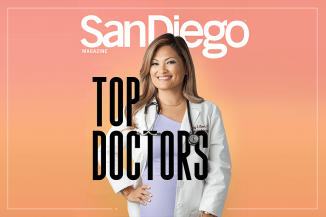 SDFC’s infertility specialists are named among the top fertility doctors by a variety of publications, and are leaders in IVF (In-Vitro Fertilization), egg donation, egg freezing, ICSI, male infertility and PGD (preimplantation genetic diagnosis). SDFC’s passion is to encourage fertility clinic patients to hold on to their dreams by creating miracles every day. They are also committed to offering cutting edge technology in a private and personal environment using intelligence, integrity, and innovation. The center is easily accessible from local communities including La Jolla and Encinitas or points further like Murrieta and Temecula. SDFC also welcomes out-of-state patients and provides fertility tourism and fertility travel accommodations for patients all over the world.